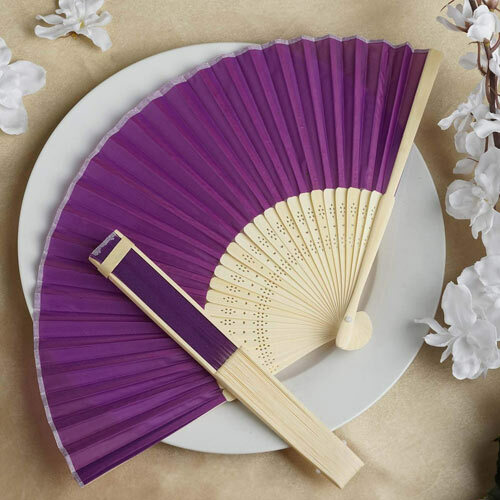 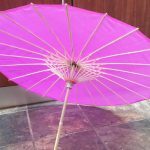 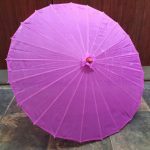 The Purple Chinese parasol umbrella is made out of wood and white nylon material and are perfect for outdoor events and weddings ensuring your guests stay cool and protected from the sun. 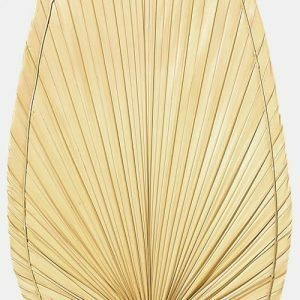 These bamboo and nylon plain Japanese umbrellas can be used as decor, but also look great in photos. 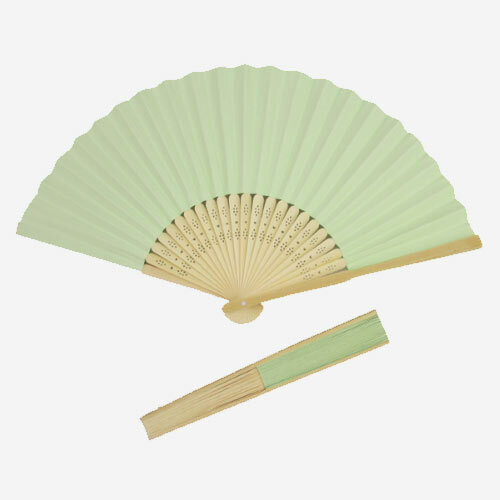 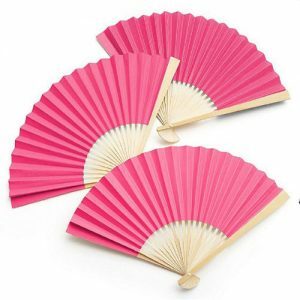 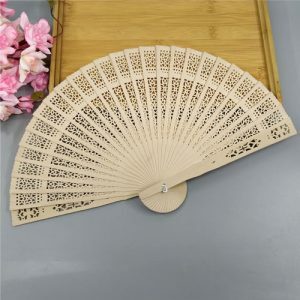 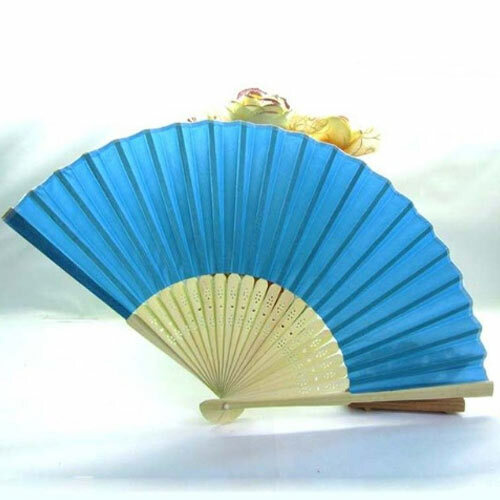 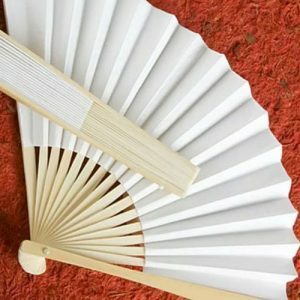 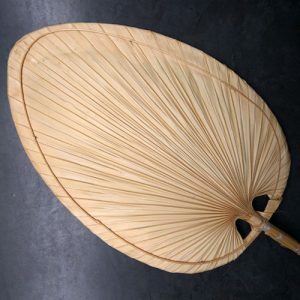 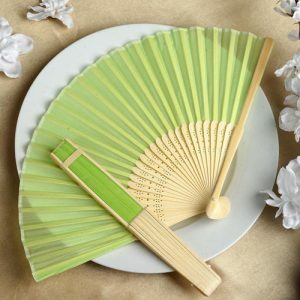 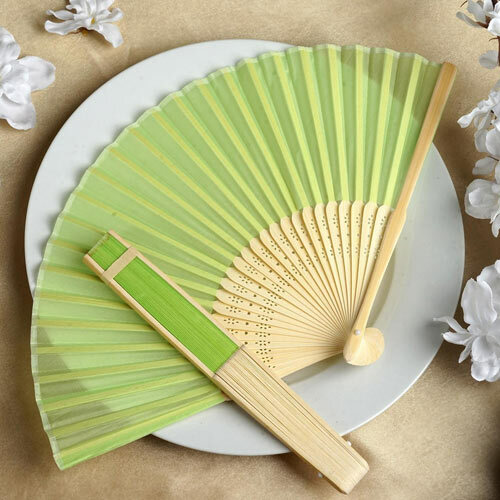 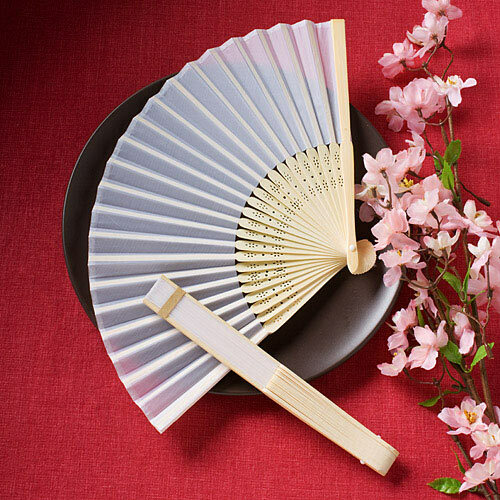 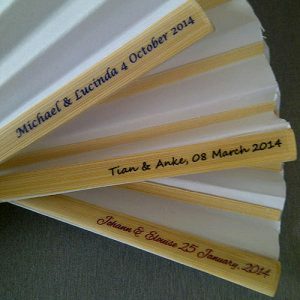 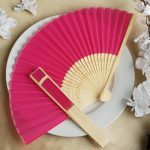 Palm Leaf Hand Fans make great wedding and function favours for your beach or garden themed wedding.